Heat oven to 375°F. 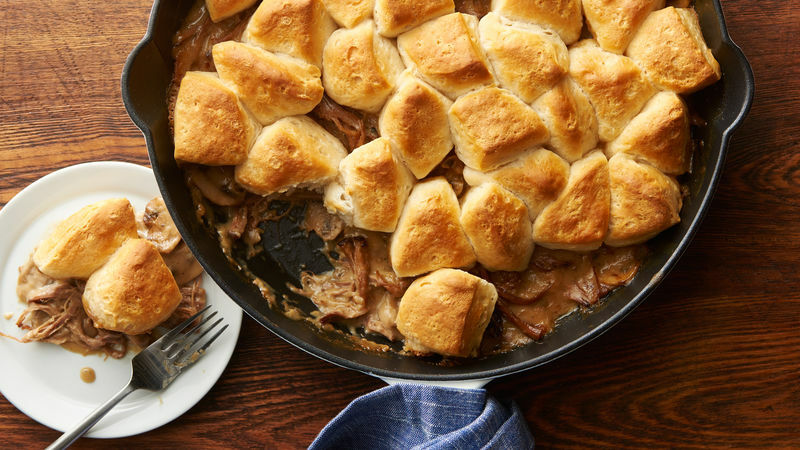 In 12-inch ovenproof skillet, melt butter over medium-high heat. 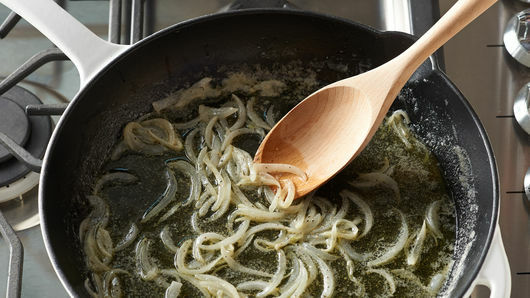 Add onion, salt and pepper; cook 3 to 5 minutes, stirring frequently, until tender. 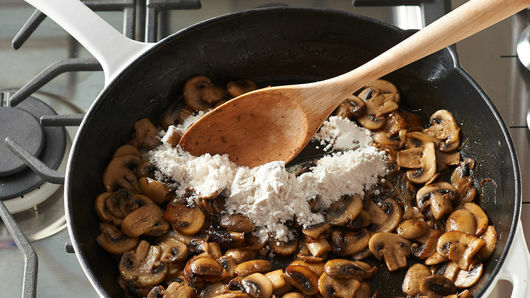 Stir in mushrooms; cook 12 to 16 minutes or until deep brown. Stir in flour; cook 1 to 2 minutes or until thickened and beginning to brown. Gradually stir in broth and milk; heat to simmering, stirring frequently. Cook 1 to 3 minutes longer, stirring frequently, until bubbly and thickened. 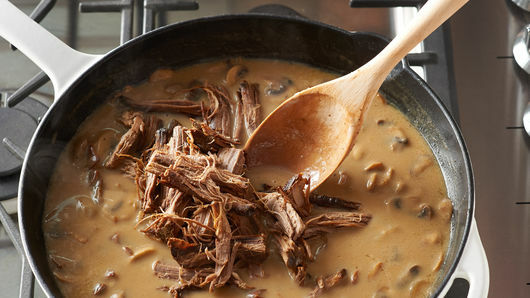 Stir in brisket. Remove from heat. Meanwhile, separate dough into 8 biscuits. Cut each biscuit into fourths. Top brisket mixture with biscuit pieces. Bake 23 to 27 minutes or until biscuits are golden brown. Let stand 5 minutes before serving. Use your own leftover smoked brisket, or opt for purchased smoked brisket as a shortcut. 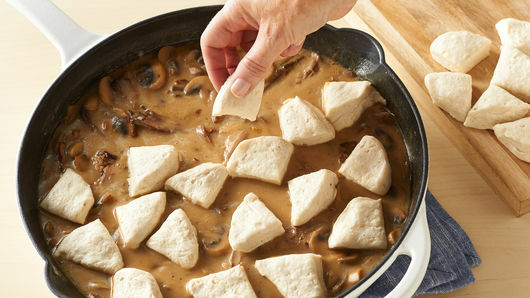 To save time, use presliced button mushrooms.